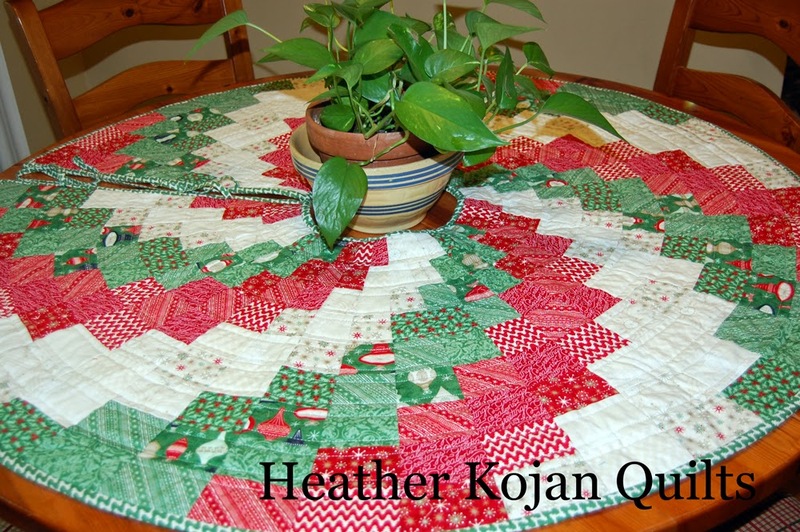 heather kojan quilts: My Peppermint Swirl Christmas Tree Skirt Tutorial on Moda Bake Shop! My Peppermint Swirl Christmas Tree Skirt Tutorial on Moda Bake Shop! My newest tutorial for Moda Bake Shop just went up! Truly a Christmas in July project. Here's a link to the tutorial. I'd love for you to check it out. And please leave a comment if your so inclined! 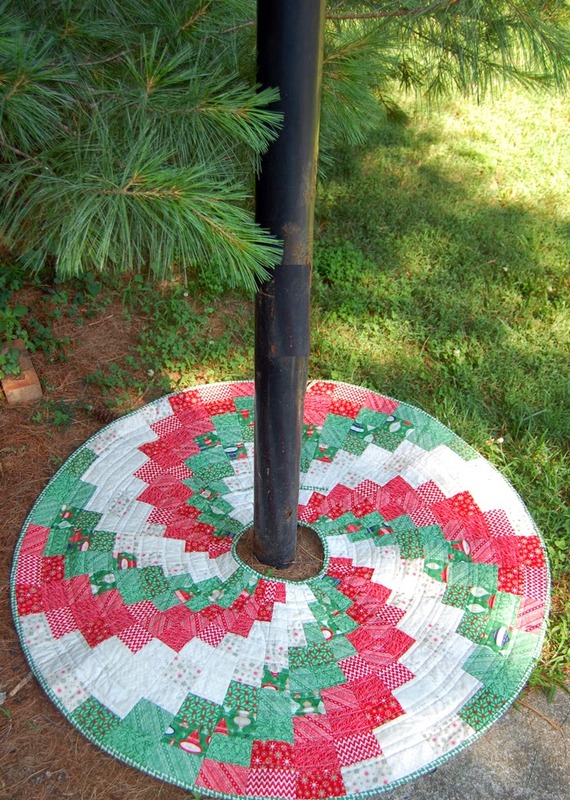 And because there are no Christmas trees to be found in my yard, here's a stunning shot of the basketball hoop skirt! This is a great tree skirt. I would love to make one, we really need a new one. Your photos are great, love the basketball hoop skirt! I love making christmas tree skirts and selling it in my online store Linens'n'Curtains with free express shipping worldwide. A Little Giveaway for you!